‘Star Wars Rebels’ Poster and Official Plot March Out: Beware the Evil Empire! 'Star Wars Rebels' will likely keep its cards close to the chest, even through tomorrow's New York Comic-Con panel, but that won't stop the new mid-trilogy animated drama from recruiting early. A new propaganda poster and the official plot description for the 'Star Wars' TV series has emerged to follow this past week's teaser, but for the dark side or the light? Join the rebels and fight the Empire with our latest look at the series! 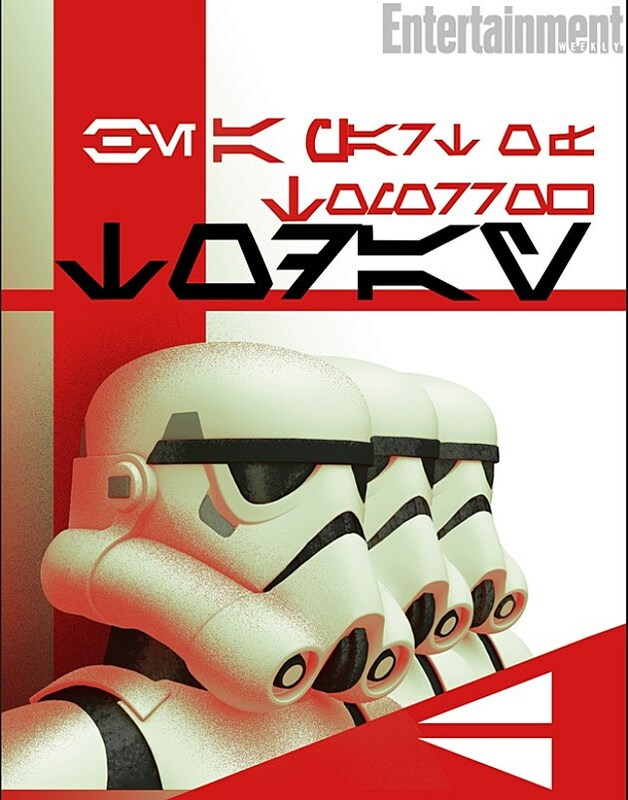 Per Entertainment Weekly, the new 'Star Wars Rebels' poster borrows a bit from old Soviet propaganda posters to highlight Empire recruitment in a stylized depiction of stormtroopers. The poster also includes a bit of Aurabesh writing, which if the comments are to be believed, ominously spell out, "Be A Part of Tomorrow - Today." 'Star Wars Rebels' continues the epic tradition of the legendary 'Star Wars' saga with all-new exciting, action-packed adventures. It is a dark time in the galaxy, as the evil Galactic Empire tightens its grip of power from world to world. As the series begins, Imperial forces have occupied a remote planet, ruling with an iron fist and ruining the lives of its people. But there are a select few who are brave enough to stand up against the endless Stormtroopers and TIE fighters of the Empire: the clever and motley crew of the starship "Ghost." Together, this ragtag group will face threatening new villains, have thrilling adventures, and become heroes. We've already seen concept art of the mentioned Millennium Falcon-esque "Ghost," which will act as a central location, but no voice cast has been made official. Though, we recently heard Freddie Prinze Jr., ‘The Butler’ star David Oyelowo, Vanessa Marshall, Taylor Gray and Steven Jay Blum were on the short list. We’ll be on hand this weekend to learn more about ‘Star Wars Rebels' at NYCC. In the meantime, check out the new poster below, and tell us what you want to see from the new ‘Star Wars’ in the comments! Source: ‘Star Wars Rebels’ Poster and Official Plot March Out: Beware the Evil Empire!